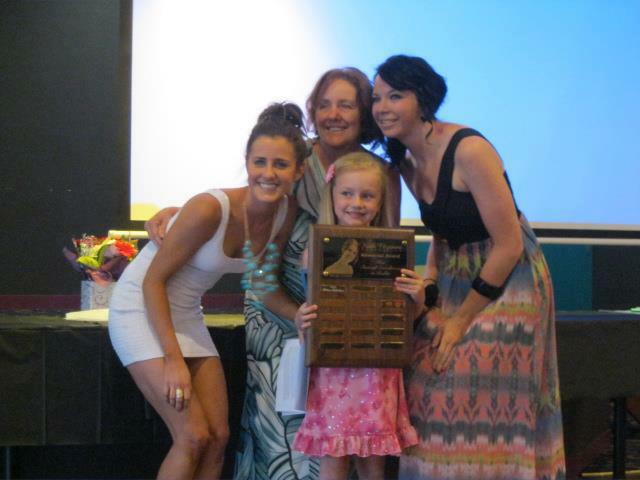 Congratulations to Zahra from JL Dance, Winner of the Nicole Fitzsimons Memorial Award for Excellence in Ballet. We would also like to thank all the students & supporters of JL Dance who helped raise over $400 for The Nicole Fitzsimons Foundation! Miss Jodi-Lee met Nicole four years ago at a local dance school and Nicole was a driving force behind Jodi-Lee completing her studies in dance and opening her own dance school. Right on the brink of when Jodi-Lee was about to give up on her dreams, Nicole reminded her of always following your heart – to use passion as your fuel and don’t let fear hold you back. If you want something bad enough, you will find a way to make it happen. The success of JL Dance in its first year was evident in their dance concert on Saturday, 15 December 2012, is proof of this. From the enthusiasm and passion that all the dancers showed up on stage it is clear that Miss Jodi-Lee has done a wonderful job of carrying on Nicole’s legacy of always dancing with your heart. We hope you all continue to dance for as long as it makes you feel aliveand happy. For dancers in the Dapto area interested to learn more about JL Dance, visit their Facebook page here.